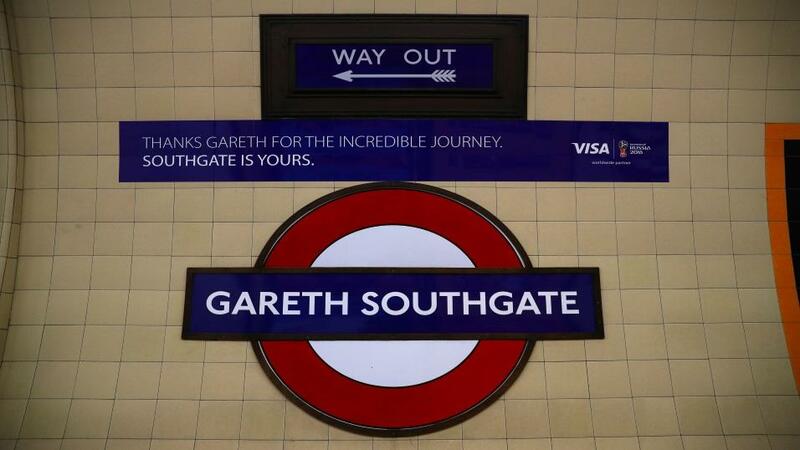 Where next for Gareth Southgate's England? "Serena Williams [1.43] and Naomi Osaka [3.25] are through to Saturday's final. The stakes are high for both players, with 20-year-old Osaka becoming Japan's first female Grand Slam finalist, while Williams is aiming to win a seventh US Open title. Doesn't it feel great to go into a weekend of international football not bemoaning the lack of Premier League action but instead intrigued to see what's next for England? At the end of a summer when fans fell back in love with England, Gareth Southgate's team embark on the next stage of their development against Spain on Saturday night. The first UEFA Nations League clash at Wembley should be a good one and, in his betting preview Jack Lang reckons the Three Lions could shade it. Elsewhere, why not see if you can hit the jackpot and win £5m from the weekend's other fixtures. It's Sprint Cup day at Haydock and all the talk in the build-up has been about whether favourite Harry Angel can become only the second two-time winner in the big race's history. His trainer thinks he's in as good form as he was when he triumphed last year but could an upset be on the cards? Make sure you read what tipster Tony Calvin makes of the race, and the rest of the Haydock card, when his Saturday Racing Tips go live at 5pm on Friday. Be sure too to read the thoughts of Betfair Ambassador Ryan Moore who rides Gustav Klimt in the Sprint Cup. At the time of writing, there are four players left in the men's draw (with the semi-finals about to be played): Novak Djokovic [1.96], Rafael Nadal [3.7], Juan Martin Del Potro [5.6] and Kei Nishikoir [19.5]. Whichever two of that quartet wins through to the final, it's sure to be fascinating contest come Sunday night. Of the women's draw, we know much more as Serena Williams [1.43] and Naomi Osaka [3.25] are both already through to Saturday's final. The stakes are high for both players, with 20-year-old Osaka becoming Japan's first female Grand Slam finalist, while Williams is aiming to win a seventh US Open title. Whoever wins, it will be a wonderful story. It's the final Test of the summer for England and, having wrapped up the series against India in the fourth, the home side are hoping to seal a comprehensive victory at the Oval. It's also Alastair Cook's final Test, after the England batsman announced his retirement this week. How we'd love to see Cook smash a century this weekend. At the time of writing (Friday, 2pm), England are batting well, with the loss of only one wicket. By the time Saturday rolls around, it will be day two of the Test, but Ed Hawkins' preview is still worth reading for his insights into betting on top batsman and much more, as well as his assessment of where England are as they reach the end of another season. All the talk this week was of the team selections for upcoming Ryder Cup. This weekend, though, the world's best players are competing for themselves at the BMW Championship at the Aronimink Club in Pennsylvania. Tiger Woods and Rory McIlroy were the pre-tournament market favourites but a lot can happen across the weekend which is why Betting.Betfair golf ambassador Steve "The Punter" Rawlings will be updating you with the latest betting angles in his in-play blog.